One of my dreams in life is to teach my Mother something. She has taught me many things in life, it was my dream to teach her how to knit. She basically knows how to do everything else. Look at her go. She is ambidextrous. I think she is going to be a Continental knitter. You go Mom!!!! You always amaze me. Another dream of mine was to teach my twin sister how to knit. She picked it up faster than I did. I was very impressed. Go Cindy, Go Cindy. Now I'll have to tell her about Ravelry. She will never leave her house now. Oh no what have I started. I am sorry Cindy for the new addiction, but I think you are going to love it. On this same day I went to my daughter's soccer game. It was raining a little before the game. She ran hard, and had some good blocks. In the end it was a tie. Both teams gave it their all. I was entertained. This is her kicking the ball. Here we are after the game. We are dry now. If you look closely you can see Ashley's doll in the seat to the left. Austin played with his right and his left. He is left handed and enjoyed playing using both. Mathew got a strike and several spares, as did Ashley, actually they all got a spare or two. Thank God for the bumpers!!!!!!!!!!! well, this was a long day, Did I mention I had yummy taco salad for Dinner. Tonight, I played softball with the Universal Studios softball league. Barry showed up with the kids to watch me. That was so sweet. Everyone was jealous, because I had the best cheering section. My kids can scream. Thank you Barry for going it sure means so much!!!!!!!!!!! I don't have pictures of this, because I left the camera at home. I will bring it to the next game. This week I did a couple of things. First, I went to my niece Krystin's 18th Birthday Party. I can't believe she is 18. She got her hair cut. It is so pretty. She had so much fun around her family and friends. Happy Birthday Krystin. You are probably wondering what in the world is this. Well I did some research and You can sew these together to make things with them. This is going to be a laptop bag. It will be done soon. I am waiting on my boys to finish drinking some more of these so that I can finish this bag. I am looking around my house at things I can reuse to try to sell on my etsy shop. Next I will be reusing my kids tshirts. It is fun to make and easy. There are tutorials on you tube. She is almost finished. She needs eyes, and some more hair in the back. I also have to tuck in the yarn strings. She needs eyes fast. I creep everyone out at work with her. Help Mom. I need you to show me how to paint her eyes. I am still working 2 days a week. I am still trying to find other work. I will find out this week if I can get a job at Disney cutting hair. I am not in a hurry just yet, because Austin still has school work that he needs to get done. By the end of April I will need a job where I will get more hours. We will see. 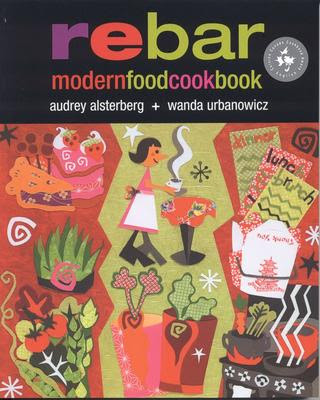 I won another contest from Kathy on her blog http://whiletangerinedreams.typepad.com/ I won a cookbook called Rebar by Audrey Alsterberg and Wanda Urbanowicz. It has many vegetarian recipes in it. I am so excited, so is Barry. I am not a very good cook, and I hope this book helps. Thanks Kathy!!!!!!!! Here is an item from her shop that I love. It is so beautiful. 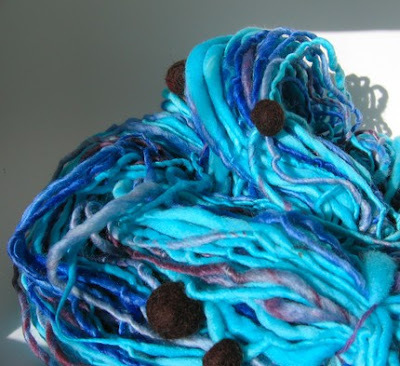 This yarn is one of the answers in the contest. This yarn is gorgeous. She has other items that are very beautiful as well. Check it out!!!!! I have an audition at work for my job. We usually do them every year. I stumbled on this. I think I will use it in my audition. I will practice it and them record me doing the audition. I hope I can do it justice. I have to do it on Monday. Yikes!!!! I better learn it quick. I thought this was very funny!!!! It made me laugh. Well I will try and catch everyone up on what I've been doing. First of all my son has been blogging for about maybe 2 months if that and he already has half the number of visitors as me. He is seven. I can't believe it. Barry, Barry and Carrie went golfing for Barry's Dad Barry's birthday. Yes my husbands name is Barry and so is his fathers name. The weather was beautiful and so was the company. I had so much fun on the golf course with Barry. It was nice to get out and relax in the Florida sunshine. We went to St. Augustine. Aidan wanted to check out what was in front of the cannon. He stepped on the ledge and Barry grabbed him. There was at least a 20' drop. I don't get where he gets his adventurous side from. Yes these shoes are still comfortable. I could walk all over the Earth in these. Here is an Outfit I made for Ashley's doll. This is the other doll I've been working on. I don't know which color to use. Purple or blue for the sleeves. what do you think? I have to admit, I sure was tired after picking up this golf ball. Austin just got up and ran around some more. I don't know where he gets his energy. We've been getting up early every morning to go to swim lessons at South West Aquatics. I have enjoyed watching my kids swim. Here is a video of them. So, I've been a little busy. The doll has taken up most of my time. I am trying to get it done so that I can enter it in the Orange County fair. My hands are getting tired. I miss knitting. My hands don't get as tired. My first sock is still going. I knit on it on the way to Disney. I hope to finish it soon. Sorry for the collage, I will try harder to keep up my posts.